If you are like most parents, every August, your child anxiously asks you to take them to the store to purchase school supplies. Often what is attractive to children may be expensive and not necessarily needed at school. 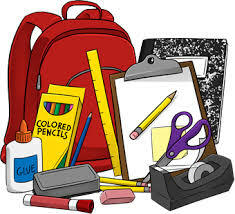 To help alleviate this problem, we have created a Sisters High School Student Supplies List. Please refer to this list as a general guideline of the supplies your child will need at the start of school. Students will be told in their individual classes what supplies are needed.